The inevitability of change is a fundamental principle in Chinese astrology. And the ability to skillfully adjust to continually shifting cycles, is considered to be a longevity art. Wisdom tells us, that no matter what difficulties you are facing, no matter how hopeless or frightening the situation seems, if you wait it out, a turning point will come. The important thing is to maintain your composure, and recognize the moment when appropriate action will be effective. That turning point is now. 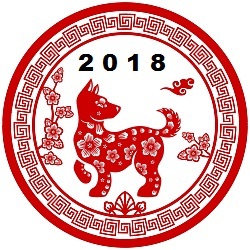 Welcome to the Year of the Earth Dog. Narrye Caldwell, L.Ac., is a Pole Star astrologer, feng shui practitioner, martial artist, and shamanic healer. She teaches for Five Branches University, the Academy of Martial Arts, and the Foundation for Shamanic Studies. Narrye does Pole Star astrology readings in person or via Skype, and can be reached through her website at: www.narryecaldwell.com. The Dog Year is Coming! My annual New Year’s post will be up next week. Meanwhile, click on the 10 second video below for a taste of the possibilities. Don’t underestimate the DOG! (And thanks to my Dog friend Diana Moll for sending me this video). Narrye Caldwell is a Licensed acupuncturist with a private practice specializing in pole star astrology, classical feng shui, and shamanic healing methods. She teaches Tai Chi and Qigong at the Academy of Martial Arts in Santa Cruz, is on the faculty at Five Branches University, and teaches workshops in core shamanism for the Foundation for Shamanic Studies. 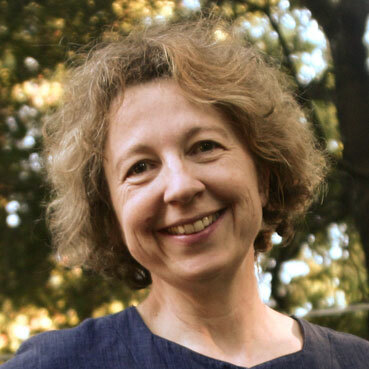 Narrye’s Pole Star astrology readings are available via Skype or at her office in Santa Cruz. See her website at www.narryecaldwell.com for information about how to schedule a consultation. When I tell people I do shamanic healing I usually get one of two responses. There are those who know something about shamanism, often through personal experience, and are intrigued and interested; and then there are those who think I’m some kind of new age nutcase—harmless but not to be taken seriously. People in this latter, and admittedly larger, group wouldn’t in a million years consider integrating shamanic healing methods into their treatment protocol when faced with any sort of illness, be it physical, emotional, or mental. For these challenges only “real” medicine is considered. So what exactly is “real” medicine? It’s interesting how what any culture accepts as medicine is a moving target, a constantly changing set of beliefs and techniques shaped by societal mores, political expedience, prevailing religious influences, and technological trends. I’ve been a Licensed Acupuncturist for 25 years. When I started, acupuncture was still considered outside the mainstream of acceptable medical options, and clearly “alternative” in spite of its ancient roots and successful track record. This is no longer the case. These days, acupuncture is accepted by most insurance companies and integrated into medical protocols at major hospitals across the country. So what happened? Did acupuncture suddenly get better? No, what happened is the culture shifted; people who weren’t getting the results they wanted from conventional medicine sought out alternatives and demanded access to those modalities. Acupuncture moved into the mainstream because it helped people. I expect the same thing to happen with shamanic healing. Shamanism is the most ancient spiritual and healing methodology on the planet, dating back at least 40,000 years. 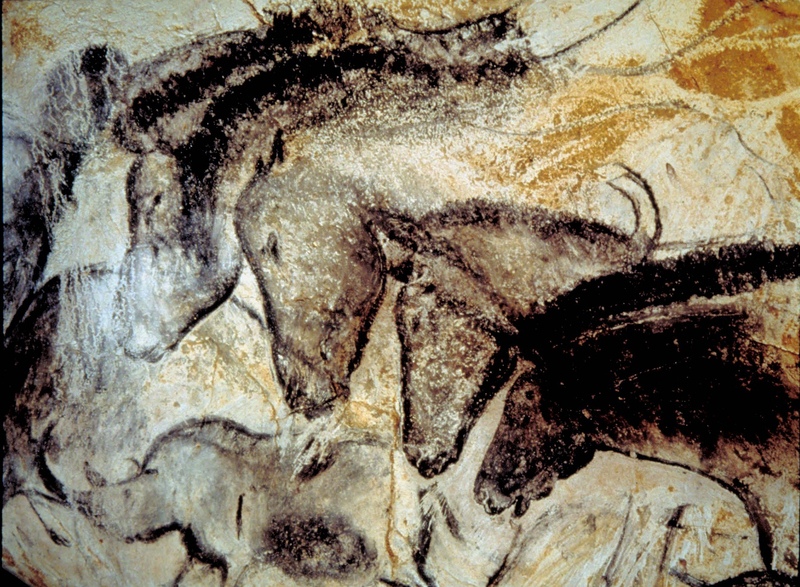 The fact that, for a relatively brief period in history, humans lost their connection with these practices is entirely due to religious suppression of indigenous shamanic cultures and practices. 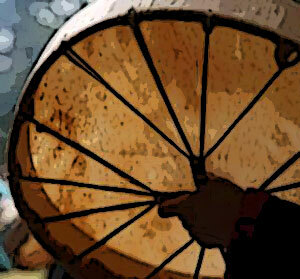 But that is no longer the case, and shamanic practices are experiencing a resurgence all over the planet. This world wide flowering of shamanism has been largely due to the work of the Foundation for Shamanic Studies (see www.shamanism.org) in supporting native shamanic practices. We now find ourselves in a world more open again to these extraordinary techniques for living in connection with spirit. This is an amazing opportunity for planetary healing. If you’ve gotten this far, you may now be wondering if shamanic healing has something to offer you. How would you know when to seek out a shamanic healer, and for what type of complaint? Will it be weird and scary? Do you have to find a Native American shaman, or a Siberian shaman, or a Huichol shaman? How do you go about this? After all, the first thing most of us do when faced with an illness that doesn’t easily resolve on its own is drop by the local clinic or call the family doctor, right? How do you hook up with a shamanic practitioner, and why would you? This is not something you just look up in the Yellow Pages. Let me see if I can help. The first question is, when might you seek shamanic healing? From a shamanic perspective, all illness has a spiritual component. That doesn’t mean that all illnesses are necessarily caused by spiritual factors. That would be oversimplifying. Illness is of course complex and often involves multiple inter-related factors. But to the shaman, spiritual factors must be addressed along with any physical medicine that is being used. So this means there is a range of ailments that can be appropriately addressed shamanically; everything from that old knee injury that won’t heal properly, to chronic difficult diseases, to depression and anxiety. All of these problems can be approached through the modality of shamanic healing. But that’s not all. There are types of suffering that humans experience that we have no physical medicine for at all–things like unhappiness, long spells of bad luck, losing one’s sense of purpose, loss of vitality, feeling disconnected. These normal human experiences can cause untold suffering, but physical medicine doesn’t offer much help. And even counseling, the main modality we have to offer for mental and emotional pain, is not a panacea. This is where shamanic healing, with its emphasis on restoring vitality, empowering the soul, and reconnecting the client to their own heart and spiritual guidance system, can be the most helpful form of medicine. And what are these techniques? The main work of a shamanic practitioner is to connect with what are universally termed “helping spirits” to bring power and healing to the client. These connections are made through the classic shamanic technique called “journeying.” The journey is the shaman’s method of entering non-ordinary reality to get help and healing from these unconditionally loving and evolved helping spirits. The journey is most typically supported by drumming or some other method of sonic driving. Then, with the help of the spirits, the practitioner can restore power to the client, find answers to questions, and access other forms of healing that may be required. Typically, a session with a shamanic practitioner may last for 1-2 hours, during which time you are usually lying comfortably on the floor tucked into a blanket. Well trained, ethical practitioners, are aware of making a client comfortable and being sure they feel safe and are not surprised by anything. There are two ways to find a good shamanic practitioner. One is to ask someone who has had a good experience, for their recommendation. The other is to go to a respected organization, like the Foundation for Shamanic Studies, and peruse their list of trained practitioners for someone in your area. In either case, you should expect the practitioner to have a conversation with you, either on the phone or in person, to get to know one another a bit and answer any questions you have. You should feel comfortable about the whole process. Be aware of anyone who refuses to answer your questions, or promises you miracles. And it is perfectly acceptable, and common practice, for a shamanic practitioner to charge for their services. They have to pay rent and eat too, just like you. Some do this by receiving “contributions or gifts”, some by sliding scale, and some by a fixed fee. All of that is fine and normal. But whatever the arrangement is, it shouldn’t be completely out of line with what any other doctor or therapist charges for a similar amount of time. And they should be happy to explain in advance their method of receiving payment. And finally, I want to return to the question I asked in the headline to this article. 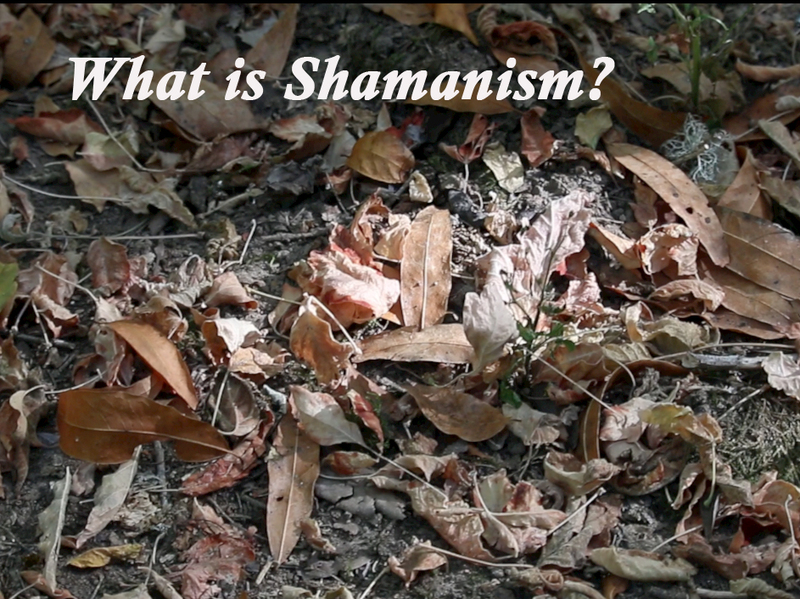 Who needs shamanism? The answer: all of us. This is one of my earliest memories. I was about 12 months old. It was bedtime in my family’s little 1950s bungalow in Reno, Nevada. As my parents were tucking me in, I realized with sudden panic that my teddy bear had gone missing. No ordinary toy, this particular bear was my companion 24/7. His button nose was smashed in like a pug’s face from endless kissing; his tawny fur was threadbare and patchy from constant stroking, and he sported a moleskin patch on his back where my mother had improvised a repair to keep his stuffing in, right at the spot where his music box had long ago fallen out. I loved him, with the constancy and passion that is special to very young children. I unleashed an immediate shrill wailing when I noticed his absence. My parents scurried about the house, searching for the errant bear, in a desperate attempt to stop my grief stricken screams. In hindsight, I realize they must have been exhausted and frustrated and just really wanting me to be sensible and “go the f……. to sleep.” But in some deep part of my instinctive primal brain, I knew that without my bear I was vulnerable. Anything could happen. I was alone and without protection. Then came a small moment of grace. My father, an infinitely kind and patient man who struggled with his own sensitivity and anxieties all his life, picked me up, cradled me in his arms and said, “don’t worry. We’ll find your bear. I bet you left him outside in the yard when you were playing today.” Then he carried me through the house, stopping in the kitchen to get a flashlight, and out into the yard where he commenced a thorough search, peering under every bush and holding me tight against his chest the whole time. We found the bear in a thicket where I had been hosting an imaginary tea party earlier that day. “Ah, here he is,” said my father. “Safe and sound.” With an enormous sigh of relief, I hugged the bear to my heart and promptly fell asleep in my father’s arms. In shamanism, a person’s health and well being are a function of their spiritual power. By this we don’t mean being spiritually “advanced” or enlightened. We mean having a fully empowered soul and a connection to at least one guardian spirit. The guardian spirit often takes the form of a power animal. In most traditional cultures it is assumed that anyone still living and functioning in the world is doing so only because they have had, whether they know it or not, the protection of such a guardian spirit. One of the first healing methods taught in core shamanism is how to retrieve a lost power animal for another person who may be suffering from illness or misfortune. The procedure is fairly simple but in my years of practicing this technique, and now teaching it in workshops, I am often brought to tears by the profound effects it has on people to feel the connection again to an ancient experience of being tended by the unconditional love of this spirit animal. I kept my teddy bear with me throughout my childhood, and yes, even into my adolescence though by that time it was discreetly tucked away in a closet. And then I went off to college and left “childish” things behind. I don’t know what happened to my trusted bear companion. Most likely my mother finally scooped the threadbare old thing into a trash can. I’m a little sad that I never said a proper goodby. But now that I have shamanic skills I can journey to the spirit of bear and thank him for those years of protection. We were partners, and I see now that he was more “totem” bear than “teddy” bear. Now I work with a different power animal, one just as loving and compassionate. I tend our relationship with reverence and gratitude. I need her, not only to help me stay safe and well in the world, but to work with me in my healing practice. A new alliance now, appropriate to this stage of life and my current work and responsibilities. But there is still this wonder, and the fragrance of that child’s fierce love, re-experienced in every journey, in every encounter with the helping spirits. It is a precious thing, not to be discarded or grown out of like a child’s forgotten toy; but a vital part of being human and wholehearted and plugged in to spiritual power. And now, thanks to the return of shamanic practices that have been lost for a long time and are now being restored to western cultures, everyone has the opportunity to recover these lost spirit connections. Narrye Caldwell teaches “Michael Harner’s Way of the Shaman®, Shamanic Journeying, Power and Healing” for the Foundation for Shamanic Studies. See her workshop schedule under the Classes tab for upcoming dates. Back in November several friends told me they were sure they already felt the effects of the coming Monkey year. I insisted that this was impossible, that Chinese astrology doesn’t work that way, it was too soon, and there is no such thing as “creeping Monkey,” or “shades of the Monkey to come.” But the stories of strange and confounding challenges kept coming in—nothing that could be called a crisis, just frustrating annoyances that bordered on the humerous. Things like finding half way through the day that you’re in an important meeting with high level executives at work and you notice you’re wearing one red sock and one green sock. Or you picked up your roommate’s keys on your way out and find yourself scrambling around on your lunch hour trying to rectify the mistake and set things right for your very irritated friend. So around about December, I revised my position and admitted that this departure from the expected course of things was exactly like Monkey qi. How like the Monkey to sneak into the party incognito, peer into windows, and play some unexpected tricks on the guests just to get things going and create some fun. There are two significant energetic shifts that will affect everyone this year. The first is that we’re moving into a Fire year after two Wood years. Wood is growth, enthusiasm, the innocence of youth and the pursuit of a vision. Wood qi is fresh and unformed. It has the drive to break through barriers, but it lacks wisdom and refinement, so can sometimes be unstable and reckless. Fire qi is the full expression of Wood’s vision. Fire brings forth the rose, lays the paint on the canvas, and gives voice to the song that’s been forming in the depths of your heart. Fire is intense, passionate, and calls forth our need to connect with one another. In a Fire year, no longer satisfied with the pursuit of our dreams, we now can bring things into actuality. And as we see things manifest, we want to gather with our tribe, raise a glass and celebrate. But it’s important to remember that nothing is solid yet and there’s much to be done. In fact, the danger now is getting so excited by the brilliance of the flame you’ve created, that you forget to tend it properly and it quickly burns out for lack of enduring and consistent fuel. Fire is erratic and difficult to control. It can flicker precariously, burst into a dangerous conflagration, or settle into a nice steady hearth fire depending on how it’s managed. So that’s your first task this year—whatever you’ve created during the last two years, treat it now like precious tinder; protect it and blow on it very gently to nudge it into a nice steady flame; feed it with long burning fuel that will last. Don’t throw fast burning paper onto it just for the dazzling but short lived burst of heat and flame. Slow and steady now, will get you a more enduring result. The key to grasping the qi we’re all going to be surfing can be found in the Chinese classic novel of the 16th century “Journey to the West.” One of the famous characters in this legendary tale is the Monkey King who demonstrates a combination of pluck, bravery, scandalous irreverence, ingenuity, ruthlessness, and magic to assure his status as one of China’s epic folk heroes. The Monkey King was born from a stone, learns the ways of immortality, commits a series of crimes against the gods, steals the peach of immortality from the Empress’s garden, and catalyzes a terrible war between Heaven and the Monkey Army. In the end, he is sent to accompany a famous monk and his disciples to the western kingdom to fetch back a Buddhist sacred text. All sorts of magical adventures ensue over the course of four volumes. The point here is this is the qi flavor of the coming year. Key words are: erratic, irrepressible, ingenious, clever, unpredictable, resourceful, adventurous, selfish, magical, quixotic, amoral. In other words, keep your wits about you because anything, absolutely anything, can happen. All manner of apple carts could be turned over in the most surprising ways. This will be a test of your ability to stay calm and unruffled in the face of relentless and unexpected challenges. But remember—on the other side of chaos is magic and transformation. Be brave and keep your sense of humor; never forget that there’s spiritual gold at the end of the tale. 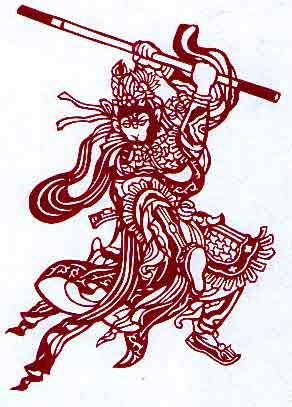 How you handle the coming year is largely a matter of harmonizing your own nature with this Monkey qi. The Monkey King was famous for his secret powers and magical weapons, one of which was a staff that he could shrink to the size of needle and hide in his ear. My advice is to conjure your own secret powers, (yes you each have at least one,) and think of yourself as the hero of your own myth. What part do you play in this year’s adventure? What’s your strategy? How resourceful can you be? Learn to see magic everywhere. Here are some tips for each of the animals. Rat: You are in the Monkey’s inner circle, a favorite accomplice who knows how to play the game. Your super power is analysis and planning. The Sheep year was a bit strained because people didn’t appreciate your fine eye for detail and your need to check everything for accuracy. But this year, your careful attention to strategy will be seen as the essential wisdom behind the Monkey’s irrepressible inventiveness. Without you, none of these daring schemes could possibly work. This is your year to be the hero of the story. Ox: Your super power is endurance. Last year was a trial, one of the few periods in the twelve year cycle that really can get to an Ox. All that team work and the feeling of being managed was truly a test for you. Monkey year qi isn’t really your style; it’s too erratic and irresponsible. But you’ll do fine if you frame the time as preparation for 2017, the Rooster year, when you’ll really be in your element. Then we’ll be talking discipline, achievement, hard work, delayed gratification—all the stuff you love. So for now, stick to your plan, and let the ups and downs of the coming year roll off your very thick skin. Tiger: OK Tiger, listen up. This is important. Do NOT, under any circumstances, be baited into leaving your cave this year. Yes I know you have to go to work, take care of committments, and you can’t literally retreat into a cave like Milarepa. (Well if you can, then by all means do so.) But you’re going to have to symbolically take yourself out of the game and sit on the bench. Only do what’s absolutely necessary. The problem is the Monkey doesn’t fight fair. And you can’t engage with life in any other way but with complete integrity. The Monkey’s opportunistic tactics will get you every time, and in spite of your prodigious courage and strength, you could die of nervous exhaustion. Oh, I forgot to say that your special power is integrity. So stay true to yourself by taking your own adventure this year but make sure it’s an internal one. Practice martial arts by yourself in a quiet hidden place. Store up your strength; don’t let the Monkey drain your qi. You’re waiting for the Dog year (2018), when you can display your true colors in an unprecedented display of power. Rabbit: Your super power is sensitivity and your intuition borders on the psychic. In the Sheep year these gifts were appreciated, and you were able to enjoy the companionship of friends who share your elegant taste and peaceful approach to life. However you may have grown tired of hosting the party with Sheep, (it did take a lot of energy,) and perhaps feel ready for some quiet time with the shades drawn. That approach could prove difficult this year. The Monkey craves attention and thrills, and tends towards hyperactivity. It could be difficult to remain aloof in the face of so much chaos. So keep that famous Chinese proverb pinned to your bathroom mirror: “A swift hare has three holes.” In other words, always have several options available for retreat. When one bolt hole is blocked, simply change direction and disappear down door number 2, or 3. In this way, you’ll come out at the end of the year with enough qi to face the very challenging Rooster year in 2017. Dragon: I know, you’ve been waiting for this, your favorite of all years. Here’s how it works: you, of course, are the leader (and of a very grand sort, like a royal emperor.) Rat is the campaign manager, and Monkey is the spin doctor. Have I got that right? You three are going to have the best time this year. Adventures await, complete with magic weapons, demons, heroic deeds, and all the stuff of legends. This is your time. Just remember—Dragons can either be egotistical and over confident, or they can truly be the wise and benificent king. The world needs you to be the latter. Oh yes—you have many super powers but perhaps the most important this year is the power of transformation. Snake: Monkey and Snake have a long history of entanglement. They share an attraction to intrigue, and can’t resist one another’s charms. However Snake is basically introverted and likes to keep its agenda hidden; Monkey, the classic extrovert, inevitably blows Snake’s cover just for the attention. A falling out always ensues. So, your task this year is to avoid getting too sucked in, even though you see magic in every opportunity. Practice holding back. This is a year to wait for the more reliable energy of the Rooster year, a time when your quiet wisdom can be applied with precision and the expectation of a successful outcome. Horse: Well, you and Monkey both like to play but your version of play is sports, while the Monkey revels in slight of hand, stage magic, and practical jokes. Things could get confusing. Also, you’re a hard worker when it comes to practical matters; and Monkeys only want to find a way out of doing chores so they can go dream up some new trouble to get into. What starts out looking like fun, could turn into the kind of chaos that can get you hurt. Your super power is your noble heart. When in doubt, take some time to get quiet, return to true self, and allow your heart to lead you. In this way you can avoid the worst of the Monkey’s hyperactivity and rash behavior, and save yourself considerable embarrassment or injury. Rooster: You have a fairly neutral relationship with Monkey, mainly because you never lose focus, even in the face of Monkey’s ceaseless manuevering. It’s actually not a bad thing to let yourself get a little swept up in the adventure, even though fun, for its own sake, isn’t really your thing. But your super power is your laser focus and you find the Monkey’s short attention span a ridiculous waste of energy. When you bring the matter up, even in an attempt to be helpful, you’re seen as a critic who’s attempting to undermine everyone’s fun. Don’t worry, you are a master of delayed gratification. Stick to your plan and everyone will admire you for your accomplishments and wish they’d listened to you in the Rooster year. Dog: Your super power is loyalty. This bone deep aspect of your character drives you to work hard and can even mean you’re on the job 24/7. After all, who else will take care of the family and guard the home if not you? But even the most faithful watch dog deserves some time to play. So consider this Monkey year to be your time to romp on the beach, go to the dog park, and enjoy some well earned time off. Just be aware that the Monkey’s flexible morality and trickster ways may clash with your high ethical standards and honesty; so have all the fun you want, but watch out for anything that may compromise your personal integrity. Remember, the Monkey actually stole the peach of immortality; he didn’t earn it. You basically have two completely different sets of values. Pig: Last year was the perfect party, with Sheep managing the guest list, Rabbit decorating the table, and you cooking the meal and picking the wine. Now, it’s time for the after dinner party and games. Monkey now arrives with a suitcase full of party gags and magic tricks; a whole evening of fun is in the works. One word of caution: the Pig’s super power is tolerance that comes from a comprehensive view of life. Your generous nature makes it easy for you to include every possible viewpoint and type of behavior. But you can also be gullible. You could easily be targeted this year by tricksters, swindlers, and con artists. Run any interesting new schemes and business ventures by a Sheep friend, who has much better radar for deception than you do. Narrye Caldwell is a Doctor of Traditional Chinese Medicine, classical feng shui consultant, martial artist, and practitioner of Chinese Pole Star astrology. She is available for astrology consultations at her office in Santa Cruz, Ca., or by Skype or phone. She can be reached through her website at www.narryecaldwell.com. It was a gorgeous sunny afternoon and I lay on a massage table on the deck at the Esalen Institute in Big Sur, listening to the Pacific Ocean break against the cliffs below us. Cocooned in blankets, I drifted in a dream state as my massage therapist kneaded away months of stress and tension from my tired body. Then something amazing and entirely unexpected happened. I heard the soft crooning of a voice in my ear, singing what seemed to be an ancient lullaby. I didn’t recognize the tune or the words. But I knew it was old and just for me, as if a distant ancestor was singing into me from a far away place. As the wordless melody poured through my consciousness, I felt healed in a way no body work alone could have achieved. It was as if I was being held by the spirits, rocked in an ocean of love and compassion. When I opened my eyes, I realized that the song was coming from my massage therapist. Having finished the body work, and moved by some unknown muse, she had simply leaned in to croon this healing song gently into my ear. It was my first experience of song doctoring. Years later, when I did advanced training with the Foundation for Shamanic Studies, I was officially introduced to the practice of song doctoring and taught how to journey for a healing song. These days, the more I practice the many forms of shamanic healing, (power animal retrieval, extraction healing, soul retrieval, divination, etc.) the more I rely on this sweet and remarkable process of song doctoring. It has become part of almost every healing session I do. Songs come in different ways and for different purposes. We all know the power of a special song in our lives to move us, to call forth our soul or lift our spirit. When I was a child I had a toy record player and a collection of cheap plastic records–mostly red for some reason. I spent many long afternoons playing them over and over again, singing and dancing around the room. Marching tunes were particular favorites and provided background music for hours of martial exercise as I strutted about my bedroom waving flags and such. The fact that I grew up in a pacifist Quaker family didn’t dissuade me from a 6 year old’s passion for military brass bands. Later, my soul songs were more complex and romantic. I had a long passionate dance that went to Ravel’s Bolero, which I “knew” was all about prancing horses and a magical parade of animals, wizards, and other storybook characters. This particular dance always ended with me whirling around and collapsing in an exhausted heap on the floor at the end. I LOVED Ravel’s Bolero well into adulthood. Of course it’s easy to look back now and see the shamanic nature of these experiences. Traditional cultures all over the world use song and dance to move into trance states and connect with spirits for healing and power. As children, if we are lucky, we live very close to our wild nature and our soul’s natural song. It comes out in the free way we dance, sing, and whirl about. But in modern culture, as we grow into adulthood we tend to lose this connection, becoming ever more domesticated and out of touch with our wild nature until we no longer remember the song our soul came in with, the one we first sang, the one that can return us to our heart’s path. That’s why song doctoring can bring about such powerful healing. We can find songs for ourselves through the process of drumming and dancing, feeling what rises up in us and giving voice to the sounds the heart wants to make. Or, as a practitioner of shamanic healing, we journey and ask one of the helping spirits we work with to send us a song for our client. When I do this the song that comes through is always uniquely suited, tuned if you will, to the client I’m working for. There is something that moves me deeply about the process of hearing the song come to me from the spirit world, and then giving voice to it–sometimes singing it around the client so they experience it like a shower of sound, and sometimes singing it right into their heart. I can often see them light up a bit, almost as if they’re remembering a long lost heart song that can be followed like a trail of crumbs to the source of their original wild nature. This is a powerful and healing thing. All those years ago, before I even knew about shamanic practice, the spirits sent me a healing in the form of a massage therapist who heard my soul song and sang it into my heart. I didn’t even know her name. But the song doctoring I now do in my healing practice is dedicated to her with a deep bow of gratitude.